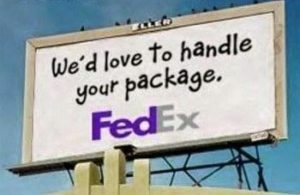 Many companies use billboard advertising to send their message to thousands of people that are on the move. This advertising method is visible for both cars and pedestrians passing by, because the main message is placed on an elevated board close to the roadside. How much will a billboard cost? The most important factor influencing the end cost of billboard advertising is the location of the billboard. If you choose to place the billboard in an area that generates little traffic, the price will be lower but your message will reach fewer people. The duration of the contract you sigh with the advertising company will also be a factor in the end price. This is the reason why billboard advertising doesn’t have a fixed price and can vary anywhere from $10 to $200.000 per month. Our table below will clear some of these things up. The digital billboard with multiple messages, for example, will display a message every few seconds. This type of advertising will be cheaper, only costing between $200 and $1,000, but your message might get lost between the others displayed on the board. 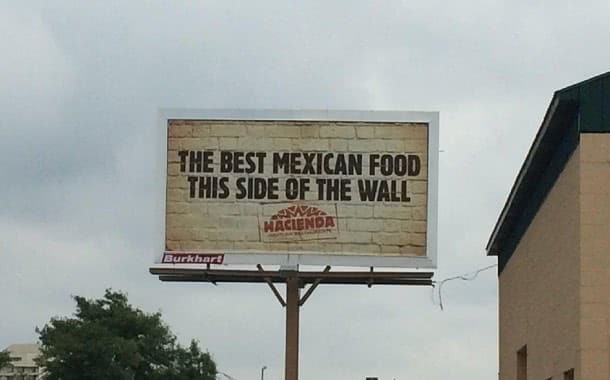 The same factors as for all billboard advertising types will apply to this one as well. You can also rent the whole digital billboard, so only your messages are shown, but the price might reach $10,000 if it is placed in a crowded place. A lot of businesses will prefer digital billboards because they are usually very dynamic, well lighted and will capture the eyes of a lot of drivers. This type of message can also be very targeted because it can be changed at any given moment, making it easier for you to add or remove messages based on different days, holidays or local events. Some businesses will opt for mobile billboards. These are billboards hooked to a truck that drives around a city or up and down a road you choose. They will cost around $700 to $3,500 for 8 to ten hours per day, depending on the area. An advertising firm in Baraboo, WI, will charge for a four-week billboard just around $250, while the same billboard advertising might cost $15,000 or even more in New York City. Our research also showed us that a Boston four-week billboard advertising campaign can cost between $10,000 and $25,000, while the same campaign might cost between $7,500 and $14,000 in San Diego. The more people to see the billboard, the bigger the final cost you should expect; some billboards might be cheaper even if placed in high traffic areas, especially if they aren’t fully visible or if the place is crowded with billboards. Like with most advertising campaigns, the type of people to see the billboard will affect the cost (factors like income level, gender, age and religion matter). If you were to advertise to a higher income level, then it could cost much more than advertising in a lower income area. The size of the ad, the visibility, how much time does the ad stick for digital billboards, are all factors that can affect the number of people to get the message and will also have an effect on the price. Some areas are a lot more populated depending on the month, which means that the ads will cost more during those times. As for most contracts, the longer you commit to the purchase, the less you’ll spend. You can get a different company to design and print the billboard or have the design made for the digital billboard. If done by a different company, it will cost extra. The average billboard is 14 by 48 feet wide and created by vinyl. The material alone should cost around $250 to $700. Expect to pay around $500 to $1,000 for a design if you hire a professional designer. Some advertising company require by contract that you buy a minimum amount of billboards for a minimum amount of time before they agree to work with you. As an example, medium to large advertising companies will usually require you to sign a contract for at least five spots and at least 6 months in length. When choosing where to have your billboard placed, here are a few things to take into account: it’s important to know how fast people are driving by, where they are usually going and the proximity of the billboard. As you might expect, someone driving 40 miles per hour, will be more likely to see your ad than people going 70 miles or more per hour on the highway. Billboards on the highway close to exits will also be easier to remember. If you’re working for a government or non-profit agency, you might be entitled to a discount, depending on the firm you choose to work with. As you might find while browsing online, most, if not all billboard rates are negotiable, especially when ordering in bulk or for longer period of time. You can get up to 50% off the initial price with firm negotiation. How Much Does Your Vote Cost? How Much Does it Cost to Become a U.S. Citizen?